After a huge March where we essentially saw would-be blockbusters open every week April has been relatively quiet since. That is, until now as the eighth installment in the ever-expanding The Fast amd the Furious franchise opened on Friday and raced to a record-setting debut weekend. The first film in the franchise post-Paul Walker and things are dark for Vin Diesel's Dominic Toretto and his team. Not only were fans of the series curious as to where these characters might go next after the departure of their brother, but with the twist that Dom had all of a sudden gone rogue fans seemed even more enticed by what might have caused such a shift in the wake of everything and everyone finally being at peace. While The Fate of the Furious didn't come anywhere close to besting the domestic debut of Furious 7 ($147 million) this eighth chapter in the street car saga was still able to top $100 million easily leading the Easter weekend charge and becoming the second 2017 release thus far to top the $100 million mark. 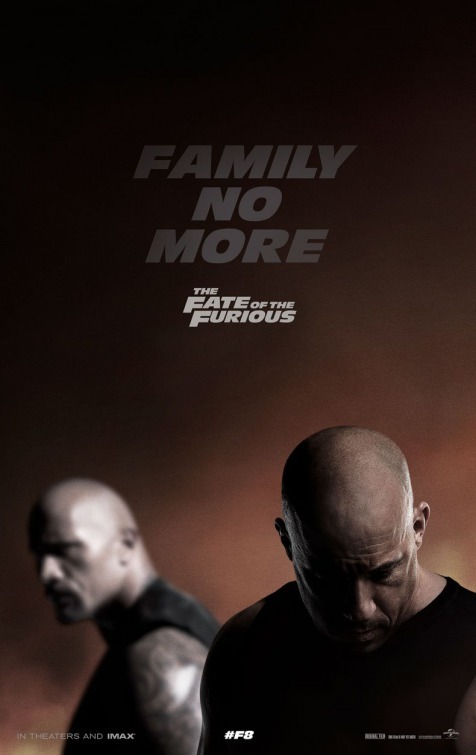 The big headline of the weekend though was that on top of its solid domestic debut, The Fate of the Furious also opened in over 60 international markets where it brought in a record total of $432.3 million which, when combined with the domestic total, comes out to another record total of $532.5 million worldwide. The first number breaking the international opening record and the second breaking the worldwide debut record. This worldwide record was previously held by Star Wars: The Force Awakens with $529 million, but as of this past weekend the latest installment of The Fast and the Furious was bigger that the latest installment of Star Wars. Needless to say, the plans for a ninth and tenth film in the franchise, currently set for release in 2019 and 2021, are no-brainers as there seems to be no slowing down this franchise-at least not in terms of profitability. That's all for this week, but as always be sure to follow us on Instagram, Twitter, and subscribe to our YouTube channel as we have a new review (or reviews) up each week! Read my full The Fate of the Furious review here.